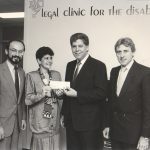 In the 70 years since its founding, the CBF has given out nearly $50 million in grants to support pro bono, legal aid and related initiatives, and more than $42 million since 1999. Over that time, the CBF has honed its grantmaking focus around access to justice and expanded its grantmaking partnerships with other foundations, the courts, and government entities. More than 5,200 individual donors, more than 200 law firms, corporations and other law-related organizations, and the CBF’s many dedicated partners have enabled the CBF to increase our annual grants more than tenfold over the past 20 years. Today, the CBF awards over $2 million in grants, investing in the entire pro bono and legal aid system in our community. 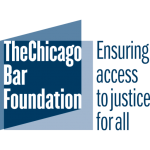 The 2017 CBF Investing in Justice Campaign set new records in individual donations while raising awareness and critical funding for pro bono and legal aid services in the Chicago area. 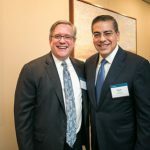 153 law firms, corporate legal departments and other law-related organizations participated in this year’s Campaign, which was chaired by Jesse H. Ruiz, partner at Drinker Biddle & Reath LLP. Nearly 5,100 individual attorneys and legal professionals contributed more than $1.51 million, both the highest amounts in the Campaign’s 11-year history. 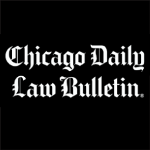 The centerpiece of the Access to Justice Act one of the CBF’s major legislative priorities the past three years is funding for a new legal hotline and network of services for Veterans and military families in Illinois. 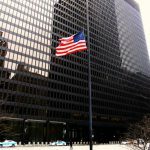 With the funding made possible by the Act now available for the new program, the Illinois Equal Justice Foundation has released their grant guidelines for organizations that want to apply to be part of the program. Grants are anticipated to be announced in the early summer. 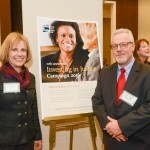 The 2016 CBF Investing in Justice Campaign marked its 10th anniversary by setting new records across the board while raising awareness and critical funding for pro bono and legal aid services in the Chicago area. A new record of 154 law firms, corporate legal departments and other law-related organizations participated in this year’s Campaign, which was chaired by Susan Levy, executive vice president and general counsel at Northern Trust. 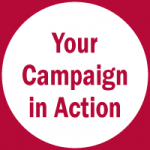 More than 5,000 individual attorneys and legal professionals contributed more than $1.5 million, both of which are the highest amounts in the Campaign’s 10-year history. When the Investing in Justice Campaign launched in 2007, it raised more than $600,000 from about 1,600 individuals at 35 participating law firms and companies within just a few weeks for the cause of access to justice. Skeptics pegged this strong response as a one-year wonder; the following year, the economic crisis of 2008 further threatened the Campaign’s potential. But the Campaign’s numbers grew even during that time. 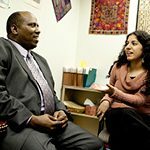 Amidst the economic upheavals Chicago has seen in the last decade, the growth of the Investing in Justice Campaign is proof that we still believe in justice for all through thick and through thin. Ford Heights, located in southern Cook County, was once pegged as America’s poorest suburb. Three of its neighboring towns now claim the highest suburban poverty rates in Illinois: Harvey, Robbins, and Chicago Heights, all of which fall within the jurisdiction of the Circuit Court’s Sixth Municipal District in Markham. Markham is a busy courthouse with a large unmet need, and its compact space enhances that challenge. In fact, it is also the only district in Cook County that has additional court call locations in 12 village halls and police departments. For people without a lawyer to guide them through the process, it can be easy to get lost in the shuffle. Your support of the CBF Investing in Justice Campaign has helped build a network of court-based services in Markham that provide legal assistance to thousands in need for evictions, collections, and other matters. We all have an obligation to treat other human beings as we want to be treated. Because someone made a mistake does not mean we should abandon them. In a few wise words, Brian Nelson of Uptown People’s Law Center (UPLC) paraphrases the mission of the organization’s Pro Bono Prisoners Civil Rights Project, one of the many outstanding programs you are supporting through the Investing in Justice Campaign. Hundreds of letters from inmates at surrounding prisons come across Brian’s desk every week many of them coming from partner law firms and organizations that receive these letters and forward them to UPLC. Every letter gets read, and every inmate gets a response. Many letters contain descriptions of human rights violations, such as overlooking inmate violence or letting injuries go untreated. Unfortunately, it’s not easy for inmates to report abuse.